For me, the most important change in Lock On (v1.1): Flaming Cliffs is one that a lot of people won’t pay much attention to. We at last have access to the most realistically modeled air radar seen in a sim since the Falconseries. 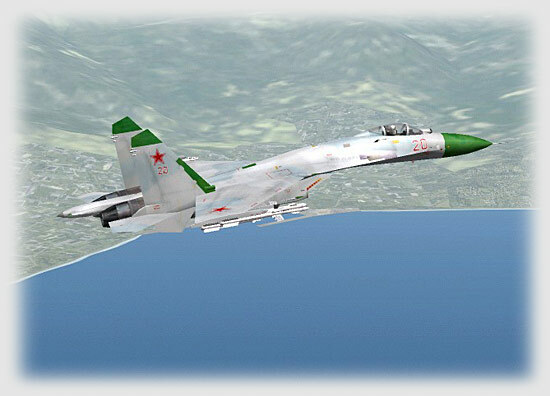 What Eagle did for the AN/APG-63 in the F-15C, they have at last done for the Su-27’s N-001 and the MiG-29’s first-generation N-019 radars…only more so. More than new radar modes have been added. 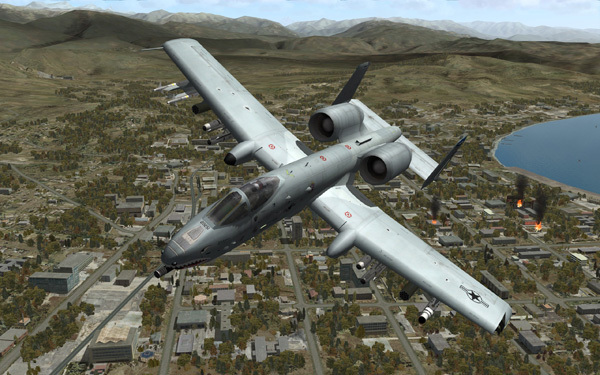 The team has tweaked radar performance in all the aircraft. Radar jamming gate has been overhauled. ECM burn-through ranges are now modeled more precisely. Doppler effects are better modeled. And there’s more. FC actually looks at the geometry, how the target is presenting in relation to the emitting platform. 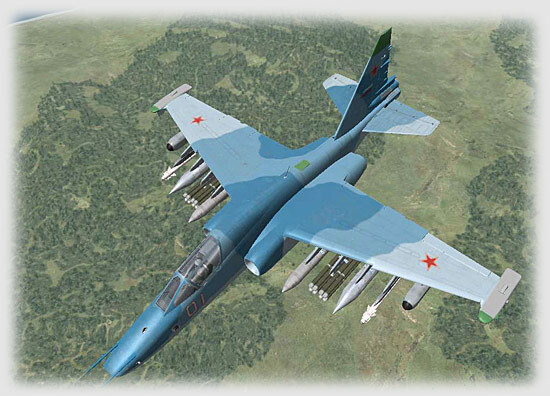 This is most prevalent in the Russian aircraft, because the Russian radars have to be set for front-aspect or rear-aspect targets to perform most efficiently. To understand this, we have to look at the new radar modes. FC now models the N-001 and N-019 radars as they are found in aircraft built prior to about 1989. You’ll find two beyond-visual-range master modes and three sub-modes, along with a vertical scan close combat mode, a radar spotlight mode, a missile seeker mode and the helmet targeting mode. Only the helmet mode is unchanged from previous versions of the game. All the rest are so different as to be barely recognizable. Excited? I sure am. 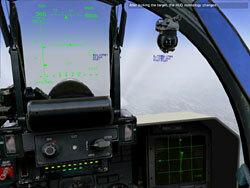 You will remember that the original Flanker’s BVR master mode was “DVB,” and this mode showed radar contacts on the HUD. The system chose which one to lock up, and you had very little control over which ones the system picked. Later, as the game evolved into version 2, DVB was changed to allow the player to use a scan box to designate targets and the old DVB mode was basically dropped. DVB mode was later enhanced with a TWS-style mode that allowed silent launches on multiple targets, which even modern N-001 radars still can’t do, and in Lock On v1.02 the TWS modes were removed totally. That’s all changed now. DVB “Scan” (looks like Ob3 in Cyrillic) is the Russian version of Range-While-Search, and looks now like what you’d find in a real pre-1989 aircraft. It has three sub-modes.